We have 6 great courses which progress you into the trees. Starting from 1m off the ground up to 20m in the canopy. Each course has a range of various challenges that build in height and difficulty as you progress. 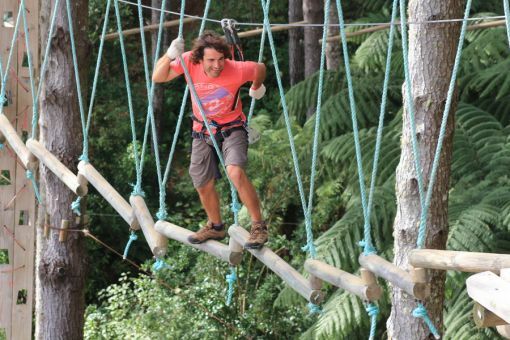 We have bridges, Nets to cross, barrels, swings and of course the most fun of all… Flying Foxes. Set amongst beautiful pine trees and magnificent Mamaku ferns in the recreation area of the TECT – All Terrain Park. It is a great place to spend the day. The park is located in TECT All Terrain Park, on Pyes Pa Rd. This is situated just off SH36, the main road linking Tauranga and Rotorua – and is approximately a 30 minute drive from both Tauranga and Rotorua. From Tauranga: From Barkes Corner roundabout (intersection of SH29 and SH36), head towards Rotorua. Then approximately 22km up Pyes Pa Rd (SH36), turn left onto Whataroa Rd. From Rotorua: Traveling from Rotorua Town Centre, head North along SH5 (Ngongotaha Rd) then follow SH36 along the lake. Turn left onto Tauranga Direct Rd at the major intersection (this is still SH36 – at some point the road name will change to Pyes Pa Rd). Then take the second right out of Mangarewa Gorge, onto Whataroa Rd. Booking recommended for individuals and essential for groups. We recommend booking to avoid disappointment. Openings on demand everyday for groups both during and outside normal hours. GoPro HD Camera Hire (per session) - $16 - Bring your own SD card or buy one onsite (micro SD class 4 or higher required). Children under 16yrs have to be accompanied by and adult (18yrs). Read more on our Conditions of Entry document. Adrenalin Forest Concession Cards. Can be used at all three locations (Tauranga, Wellington and Christchurch) and for a group. Find out more about concession cards here. How many pathways can I do? Do as many pathways as you can within 3 hours; the maximum allowed time. Each next pathway will be higher and harder, you go as far as you want. Remember you can only do each pathway once. Height restrictions apply - 1.30 meters tall do pathways discovery and adventure, 1.45 meters tall to do the whole course. Night Openings - Check out our 'GROUPS' tab for more details. Experience a day packed with action. Spend the morning challenging your group in the thrilling environment at Adrenalin Forest and then spend the afternoon continuing the action around the TECT - All Terrain Park. There are Mountain Bike Tracks (bikes not provided) and a great 45min walk that includes a tunnel to keep you busy. The multi-level aerial obstacle course is a great confidence builder and a wicked adrenalin rush. The aerial course is up to 20metres high with 6 pathways of progressive difficulty and over 2km in length. 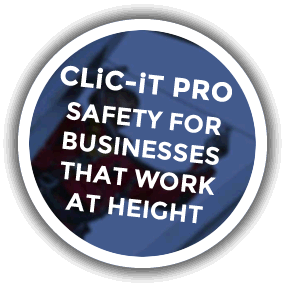 Our staff are highly skilled and the environment is great fun and ultra-safe. Also available for hire is a the Arrival Center which is great for small group conferences or meetings - more details here. Our night openings need to be booked 2 weeks in advance, with a minimum of 15 participants. In regards to time we can start you anytime from 4pm - 7pm and you have 3 hours to go as far as you can. Depending on the time of the year, head lamps are used while doing the course in the dark. A deposit of $735 is required upon booking. Payment for extra participants can be made on the day before you start on the course either by cash, eftpos, cheque or credit card. Please note that there will be no refund for cancellations within 24 hours of the booking. Please also remember $750 (15 adults) is our minimum charge, so if you have less than 15 participants there will be no refund on the day. Closed Mondays and Tuesdays, EXCEPT during school and public holidays.